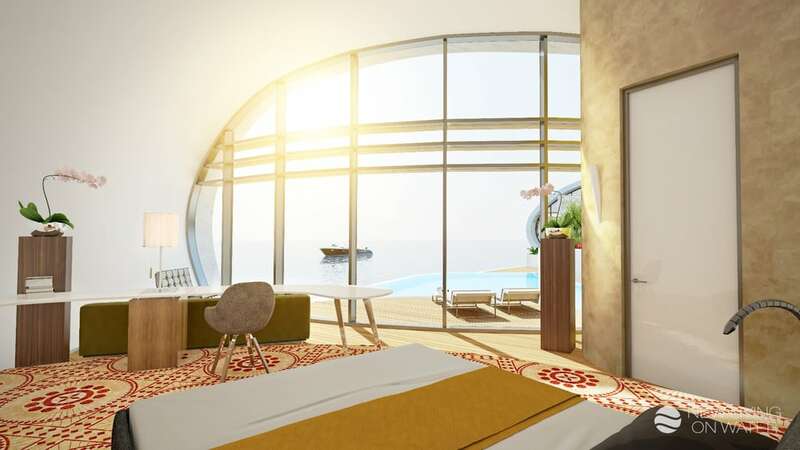 Dutch developer “>New Living on Water (NLW) has created a new luxury floating home set to be unveiled at Cityscape Global in Dubai. The concept home is based on an “organic” circular design and the current model being presented at Cityscape is slated to cost roughly $11 million. 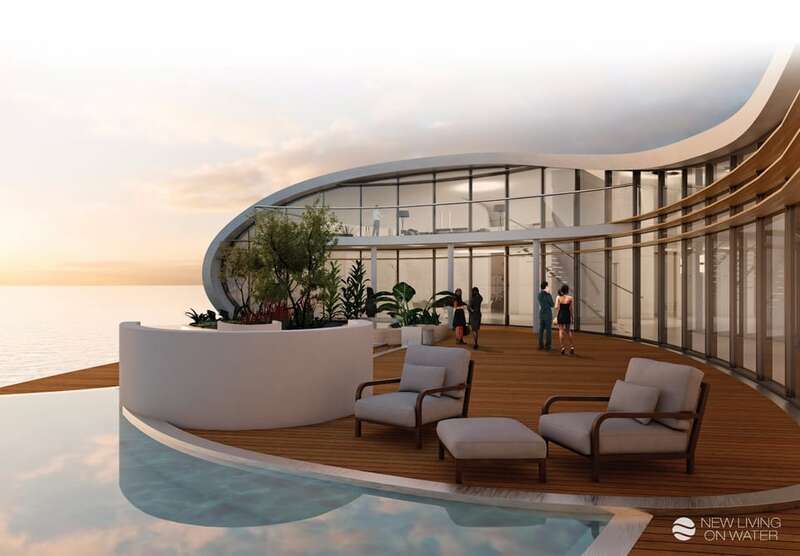 The home’s organic circular design features an open, large outdoor terrace along one side and a curved stainless steel roof on top of the unit, offering each level of the home impressive views. Although each unit is composed of three levels, NLW says the interior can be customized to each client’s needs. These residences are truly private with each home being linked to land by a car-jetty. Additionally, these homes are designed with sustainability in mind and likewise renewable energy sources were used as much as possible. One sustainability feature, for example, is the employment of a system that uses surface water to enable heating and cooling. 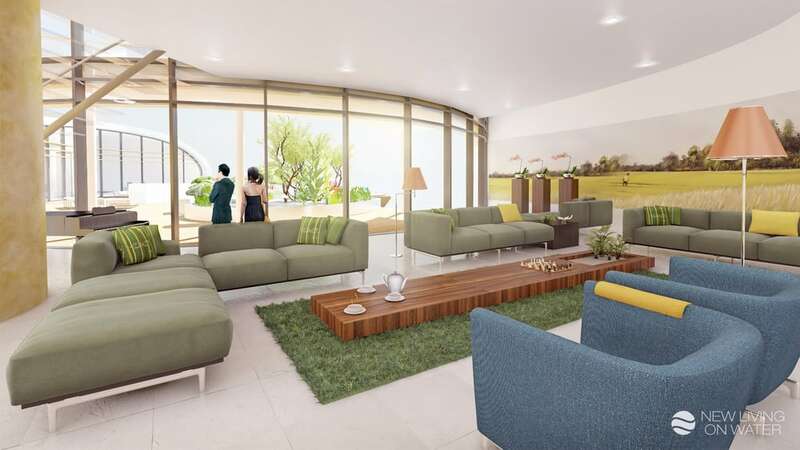 The home’s developers also explain that the residence can be completely independent. From it’s own solar panels to sewage water purification systems, there are several alternatives ready to take the place of traditional on-land electricity and sanitation facilities – although it is still possible to connect the home to these on-land facilities. Current plans call for the NLW $11 million model home to be unveiled at Cityscape Global in Dubai starting on September 6. The company expects their design in be successful and foresees regional sales worth $50 million over the first 12 months, with plans to at least double that in 2017-18.